The casino is only available to players of eighteen (18) years of age and older. Use of the casino application is open only to residents of those jurisdictions where such participation is legal. It is the player's responsibility to verify and confirm the legality of any activity prior to participation. Slotter cannot accept Real Money players resident of Australia, Costa Rica, France, Hungary, Israel, the Netherlands Antilles, Philippines, Romania, Russian Federation or United Kingdom (inclusive of Northern Ireland, Channel Islands, Isle of Man and Gibraltar). The Player understands there is a risk of losing money by participating in the Real Money mode of the games. There is no obligation to make Real Money purchases, the player can play without real money by accessing the Guest Mode of the software. Employees of Slotter, its licensees, distributors, affiliates and members of their immediate families are not eligible to participate in the Game. Any and all play by any ineligible person shall be voided, including any winnings accrued. All financial transactions will be conducted in United States Dollars (USD). Slotter is not liable for any currency exchange fees or additional bank charges caused by Players with a differing native currency. Slotter reserves the right to amend or change this agreement any time without prior notice. Participation in any of the Slotter games binds the Player to the rules of the Casino games and this agreement along with any amendments. The Player is at least 18 years of age or the legal age of maturity in his/her jurisdiction, whichever is greater. The Slotter online casino is intended for Players who are not prohibited from gambling on the Internet by the laws of their local jurisdiction. Slotter cannot take responsibility for reviewing the legality of online gambling for each jurisdiction around the world on an on-going basis. 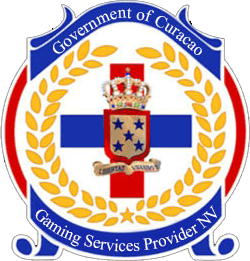 As such the Player accepts responsibility for determining if participation in the Casino is permitted and assumes all responsibility for any consequences that may transpire. Slotter is for private use only; commercial use of the software is prohibited. The Player will not permit any other person to access their Slotter account and will take all reasonable steps to ensure that their username and password remains confidential. The Player will not permit any other person to place wagers on their account nor to participate or use the Slotter software in any way. Any use of the software application through the Players account is the sole responsibility of the Player. The Slotter brand and its Casino Software are protected by copyright. This includes all branding, text, images, sounds and animations. Copying, redistribution or publication is strictly prohibited. The Random Number Generator (RNG) utilised by Slotter has been independently audited and certified as a statistically acceptable source of random numbers. The Player agrees to accept the outcomes of all wagers as determined by the casino software and the RNG. The Player also agrees that In the event of a dispute the record of the wager held on the Slotter servers will be deemed fair and final. The Player accepts that Slotter reserves its right to limit or refuse wagers or purchases from the Player. The Player accepts that it is the Players responsibility to determine if winnings resulting from use of the Slotter software are taxable in their jurisdiction, to maintain accurate records and report any taxable income to the appropriate authorities. Slotter will make every reasonable effort to pay winnings to the Player in a timely fashion. The Player accepts that delays may occur and understands that Slotter is not liable for any banking charges, overdraft fees or any other associated costs resulting from delayed payment of winnings. The maximum amount the Player can withdraw per week is $4,000. If the Player requests a withdrawal for a larger amount Slotter with process $4000 and return the remaining funds to the Players balance. The player understands that it is their responsibility to monitor their account and request further withdrawals. Wherever possible withdrawals will be paid to the payment method used to funds the account. Slotter reserves the right to decide which payment method is used to pay winnings in all cases. If you have funded your account with a Credit Card we reserve the right to pay all withdrawal requests up to the total amount deposited as refunds against the purchases you have made. If your withdrawals exceed the total amount deposited, any excess amount will be paid to you via one of our alternative methods available in the cashier. The Player must provide complete, current and verifiable personal and contact information when creating their account. The Player must also inform Slotter of any changes to their personal information. Inaccurate, incomplete or misleading information submitted may result in the Players account being closed and any balance held being forfeit. The player understands that Slotter will only pay winnings to Players whose account is verified. In order for the Player to verify their account they must send clear and legible copies of official documents that verify their identity and their current address. Slotter may require that these documents are notarised. Slotter reserves the right to refuse to verify any account that does not comply with our verification procedures. The player understands that winnings will only be paid to accounts that have at least one approved cash purchase. The Player understands that they can only hold one account with Slotter. Creating more than one account per household, IP address or computer will result in any winnings being forfeit. Slotter participates in a wide variety of activities to identify and prevent fraudulent activity. This includes sharing information regarding fraudulent activity with other casino operators and third party providers of anti-fraud systems. The Player accepts that any fraudulent activities perpetrated against any payment processor, casino operator or other online entity may result in their Slotter account balance being forfeit. The Player accepts that Slotter will remove the funds held in the Player’s account once a period of six months has passed without the Player accessing their account without prior notice. Should the Player wish the funds to be returned they can contact Slotter customer services to arrange this. Any participation in the Slotter software is deemed to be full acceptance of these terms and conditions. All bonuses and promotional offers at Slotter are subject to certain terms and conditions. It is the Player’s responsibility to ensure that they have read and fully understood all the relevant terms and restrictions before commencing play. All bonuses are for wagering purposes only and cannot be withdrawn from the casino. All bonuses will be removed before any withdrawal can be processed. All promotions and bonuses are offered once per household, IP address and/or computer. Any bonuses and winnings accrued from them will be void if claimed using duplicate accounts. Slotter reserves the right to refuse all promotions and bonuses to any Player at our sole discretion and without prior notice. Slotter reserves the right to withhold, remove or expire any bonuses awarded to you if such bonuses have not been redeemed within sixty (60) days from the date when they were awarded. Individual campaigns or other promotions may have a shorter expiration time and if so, this shall be stated to the player upon receiving the offer about the campaign/promotion. Bonus qualification - To qualify for any depositing bonus / promotional offer, a minimum deposit of $35 is required. To qualify for any free bonus / promotional offer, a minimum deposit of $50 is required unless stated otherwise in promotional T&C’s. Before the first deposit on any account is completed only one free bonus can be claimed. Even if an account has been funded solely with a free bonus, an approved deposit is needed in order to validate the account before any withdrawals can be processed. This is in addition to our other requirements related to the withdrawal process. Wagers placed on each type of game will contribute different amounts towards the wagering requirement. For example, wagering ten spins on slots at $1 each will contribute $10 towards the wagering requirement, while playing 10 hands of Baccarat at $1 each will contribute $1 towards the wagering requirement. Wagers are made from the Players cash balance first and the bonus balance second. Any winnings from game features triggered during an active bonus count as part of the promotion originally redeemed. If a promotion or bonus has an allocated timeframe, the bonus and any winnings will be forfeit if the wagering requirement for the bonus is not completed during this timeframe. Unless stated otherwise timeframe on all promotions and bonuses is 30 days. Slotter regularly sends promotions and bonuses through various different mediums, only the intended recipients of these offers are eligible to claim them. There is a 5x maximum cashout on all non-deposit bonuses. The withdrawal time frame on these bonuses is 30 days unless stated otherwise. Comp points received before making the first approved deposit or any winnings gained from them are subject to the maximum cashout stated on the free bonus used. The maximum withdrawal permitted from all bonuses that do not require a deposit is ten times the bonus amount unless specifically stated otherwise. There is no obligation to play with bonuses or promotions. If you have claimed a promotion in error please contact customer services to have the bonus removed prior to commencing play. If wagering has started on a promotion your request to have it removed may be declined. You are entitled to only claim one free bonus on your account, until you complete your first deposit. If you have only ever funded your account with a free bonus, you will be required to make an approved deposit (to validate the account), before you can make any cash withdrawals. If, for any reason, you are not satisfied with your subscription to Slotter, we will on request issue a refund for the balance currently held in your account. Before a refund is processed all bonus chips in your balance will deducted prior to calculating the amount to be refunded.